I’m a fan of affordable fashion, a second hand shopper and a high street girl through and though… but there are a few ridiculously expensive designer brands that I adore. Michael Kors’ all-American leathers, Diane von Furstenberg’s fabulously flattering wrap dresses, and Missoni’s chevron rainbow knits. I’m always on the hunt for cut-price pieces from these three – I scored a MK leather jacket in TK Maxx and very nearly ‘invested’ in a DvF dress during my trip to Bicester Village. So when I heard about the Missoni for Target collection, I was poised over my MacBook for three weeks waiting for it to drop. Well, not really. But I was excited. Unfortunately Target.com doesn’t ship to the UK (which saddens me, as the site is awesome), but luckily I have a very lovely sister-in-law-to-be living in Chicago. When the collection went live, I ordered online, paid via PayPal and used her address for the shipping. That was my way around the shipping issue, but if you don’t have a kindly relative living in America you could use a mail forwarding service like Reship.com. I ordered this cardigan and a coat from the range, but due to huge demand the coat still hasn’t been shipped. And this is where Target come into their own – they’re in regular contact via email about the status of my order, they ship each item when it’s available with no extra charge and they only take payment when each item is shipped. I’m holding on for my coat which is due in December, but I still have the option to cancel my order if I change my mind. Post from the US is painfully slow so although I ordered this cardigan back in September and it arrived with my sis-in-law a few days later, it only came through my letterbox last week. As soon as I saw her familiar handwriting on the envelope, I squealed ‘it’s the Missoni!’ and ripped it open while Rob looked on blankly. I’ve heard mixed reports about Target’s designer collaborations – similarly to H&Ms designer ranges here, quality varies and often you pay a much higher price just for the designer tag. I paid $49.99 (about £30) for this cardigan – it’s a rayon/cotton mix, super soft and fits like a dream. It’s well made, the colours are vibrant and the design is instantly recognisable. In short, I love it. High street/designer collaborations are a great way to get your hands on a piece by your favourite high fashion brand without paying the hefty price tag. And although some partnerships fall flat, Missoni for Target got it spot on. Their famous chevron print is easily transferred to reasonably priced clothing, homeware, swimwear and footwear. I’m now planning a transatlantic flight to coincide with the next collection – I’ll be the crazy lady dragging a suitcase stuffed with bedspreads and bikinis. What do you think of the Missoni for Target collection? Have you bought from a high street/designer collaboration before? Ahhhh its a beauty Jen! Looking very svelte here Jen! That jumper is gorgeous. I’ve never bought from the designer/high street collaborations before, but there are a few pieces from the Versace for H&M collection I wouldn’t mind checking out. At first glance I wasnt sure on the cardigan.. however, it really is starting to grow on me..
Love how you hsve styled it too.. I love the jumper. Missoni prints are so unique and distinctive. gorgeous, gorgeous knitwear!I agree that some designer and high street collaborations can be the bees knees and some are just well, rubbish. But this one seems outstanding, and I absolutely love the way you styled it. No wonder your chuffed it looks fab. I trawled through the Missoni for Target range and it didn’t thrill me. But now I’ve seen you in the cardi, I’m jealous and I want one. It looks ace! 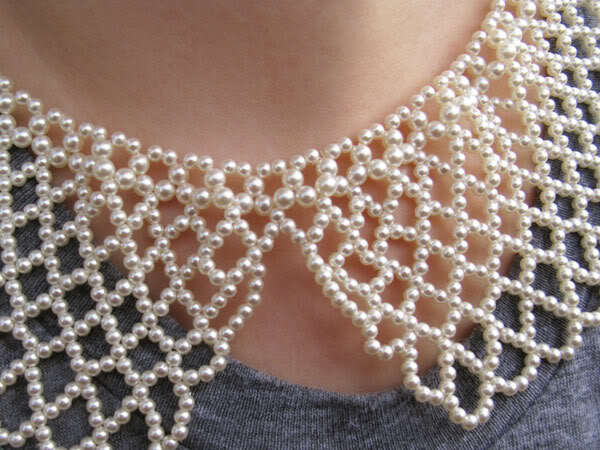 I also hate the pearl collar… in that I LOVE the pearl collar and then saw that it’s from a car boot. I want that collar! Looking gorgeous as ever lady! that’s so lovely! I love all the colours in it, you’ll be able to mix and match it with so many colours. This Outfit is awesome! 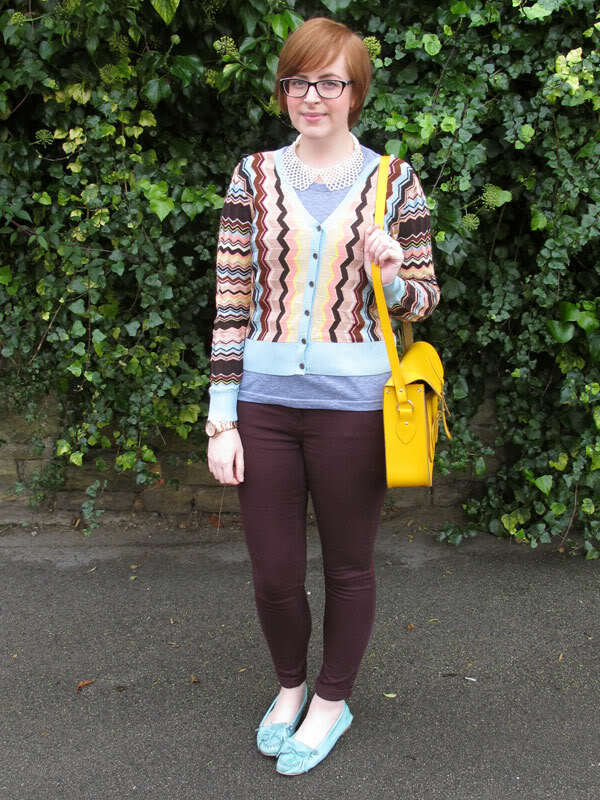 This Knitwear is truly adorable and the necklace is truly marvelous! 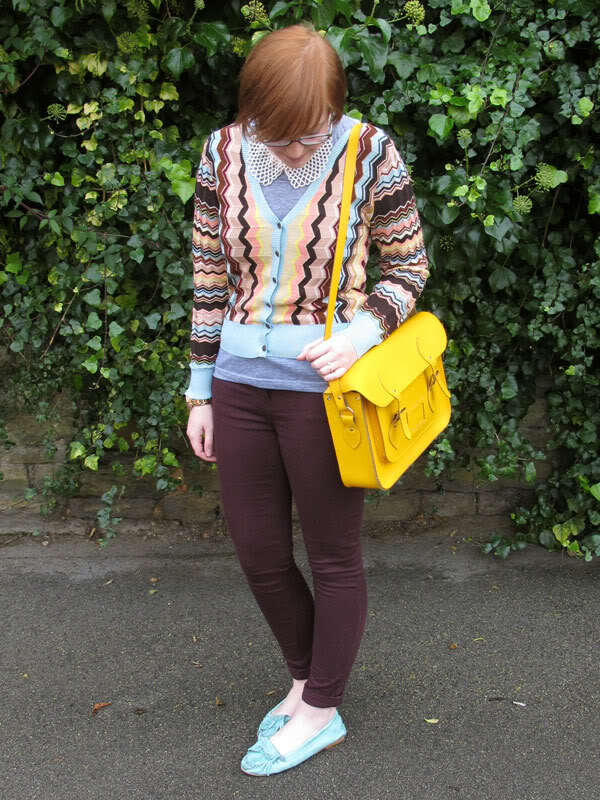 Simply Loved Your Stylish Yellow Bag!! I too wish Target would ship to the UK – I am so jealous of that caridgan, it’s adorable. 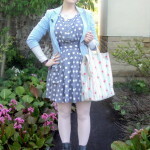 I’ve got to say I think this look is one of my all time favourites from A Little Bird! Like how you paired the cardigan with a peter pan collar. 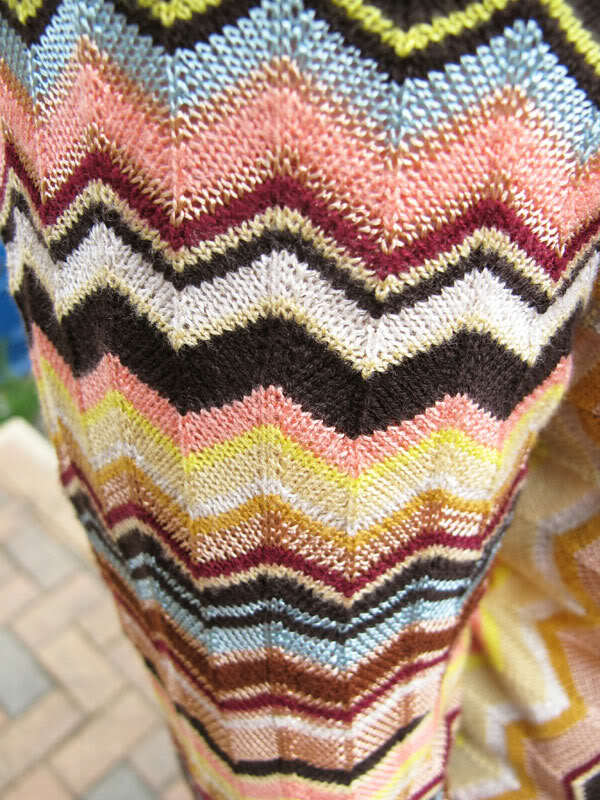 I didn’t buy any of the Missoni stuff due to low funds but that cardigan was my fave piece. Lucky! 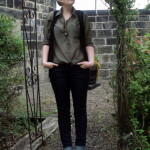 I absolutely love everything about your style, really nice blog. 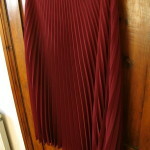 Ahh you know you and I share that love for Missoni Jen. I would drape myself head to toe in it daily if I could (this is all part of my fantasy life where I also bathe in £50 notes). Hurrah for relatives living in the States! The cardigan is divine. And also, that bag is a sweet slice of awesome. All this *waves finger up and down you* LOVING IT.